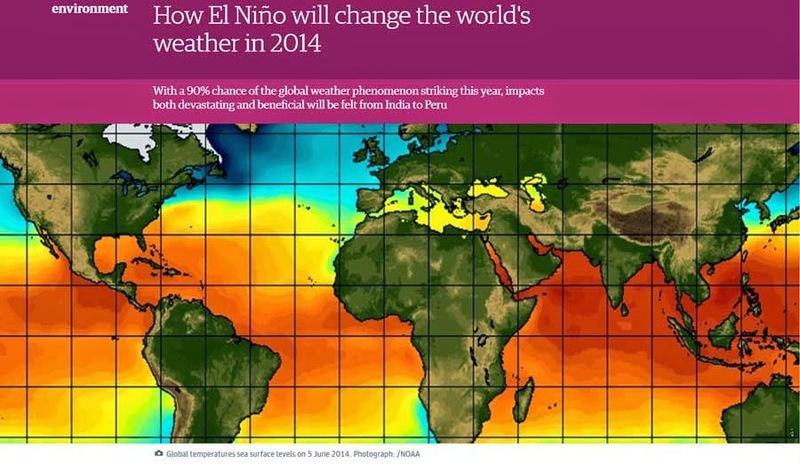 The latest El Niño prediction comes from the European Centre for Medium-range Weather Forecasts (ECMWF), which is considered one the most reliable of the 15 or so prediction centres around the world. “It is very much odds-on for an event,” said Tim Stockdale, principal scientist at ECMWF, who said 90% of their scenarios now deliver an El Niño. "The amount of warm water in the Pacific is now significant, perhaps the biggest since the 1997-98 event.” That El Niño was the biggest in a century, producing the hottest year on record at the time and major global impacts, including a mass die-off of corals. Italics in the above article are mine.